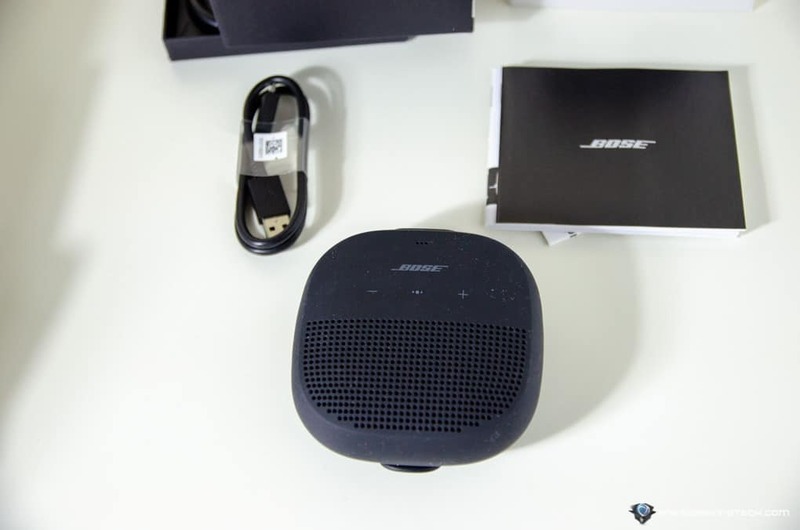 Bose SoundLink Micro Bluetooth Speaker Review – Compact & tiny Bluetooth speakers can often be a hit and miss. There will always be compromises when you are trying to cram speaker drivers and other pieces of tech components into a small unit. But yet, we all know Bose’s sound quality never disappoints. 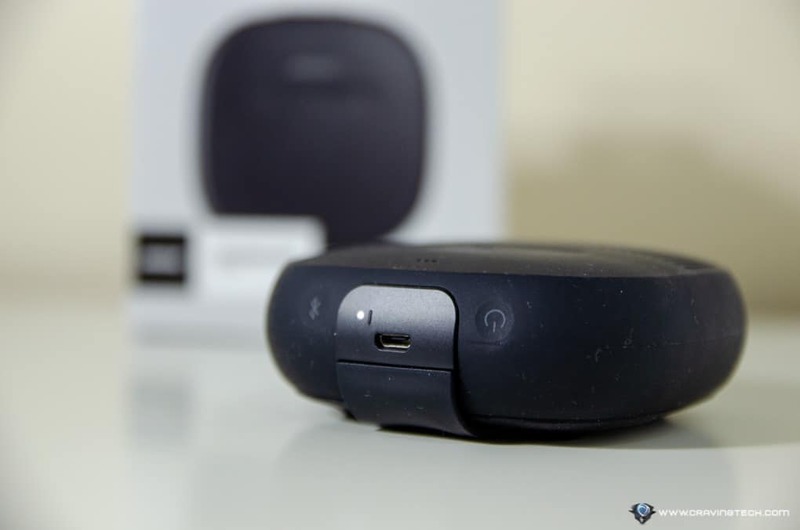 I’m still in love and using the QuietComfort 35 Active Noise Cancelling (ANC) Bluetooth headphones everywhere I go travelling and my fiancee is in love with her Bose Soundlink Revolve+. So how does Bose’s compact speaker, SoundLink Micro, do? Pretty well for its size, actually. Bose SoundLink Micro is designed for those who are always on the go but do not want to be set apart from their music. This compact speaker can be easily carried when you go hiking, mountain climbing, biking, or even to casual events like an outdoor party or a photo shoot. Its rugged and waterproof material with silicone rubber is definitely designed for outdoor use. You can hook it to a backpack’s shoulder strap or stick it onto your bike while you listen to your favourite tracks. The SoundLink Micro should be the portable speaker of choice for food delivery bikers here like Deliveroo or Foodora. 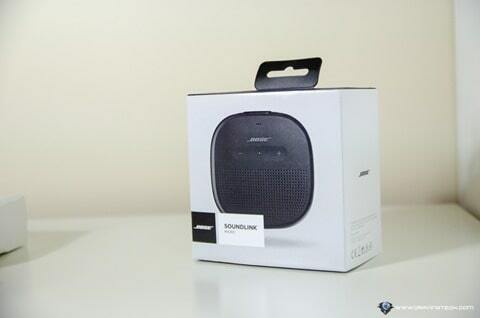 You can also use the SoundLink Micro on a pool party or for strolling along the beach. It has a waterproof rating of IPX7 so if you accidentally drop it into the water, you shouldn’t be panicking. In case you don’t know yet, an IPX7 rating means that it can withstand immersion up to 1 meter in water, up to 30 minutes. 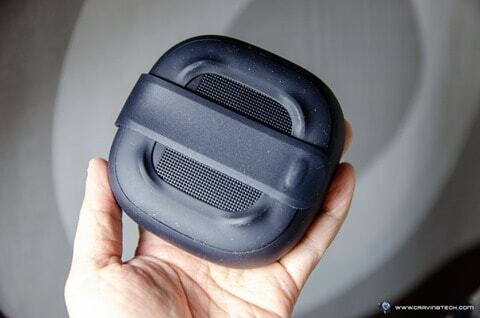 In a nutshell, don’t take it with you for swimming but the SoundLink Micro can definitely withstand heavy rain and storm. It’s definitely the speaker of choice for outdoor camping! 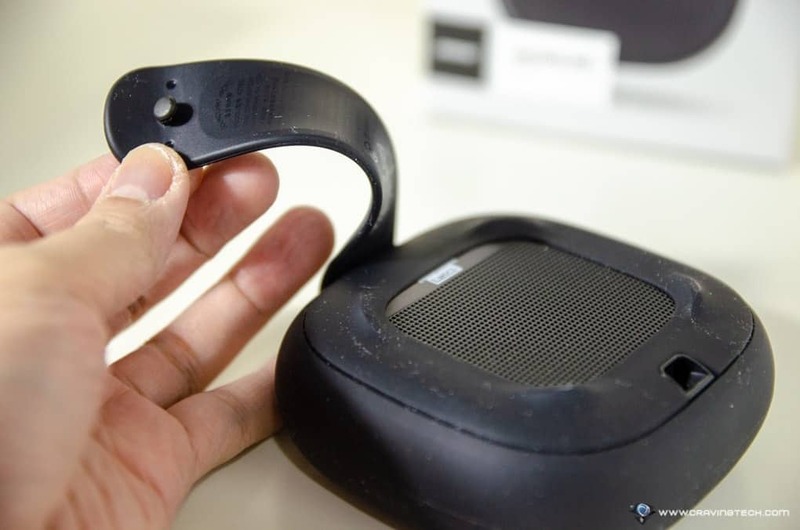 The strap is actually not stiff, which I found quite amusing, and flexible enough to latch on different things – compared to a stiff, clip design normally found on other speakers. Pairing the speaker with my iPhone X was straight forward and you have an option to install the Bose Connect app for more goodness (but not necessary if you don’t want to). One of the features is being able to connect another unit to have it played in Stereo or Party mode. Sound wise, Bose SoundLink Micro does not disappoint at all as long as you do not compare it with bigger speakers like their Revolve+. Vocals and treble sound amazing for the size and it has enough clarity on most songs I’m listening to. Some Bass-heavy songs don’t sound that well on the speaker (depending on the Bass frequency) but we shouldn’t expect too much from a small-sized speaker anyway. Compared to other portable speakers of this size that I’ve reviewed before, Bose SoundLink Micro does sound good and feels like it has more power in it. This sound quality comes at a price though with 6 hours of playing time, but it’s worth it. And there are other things you can do with it. You can use it as a speakerphone and launch Siri/Google Assistant without having to touch your phone. 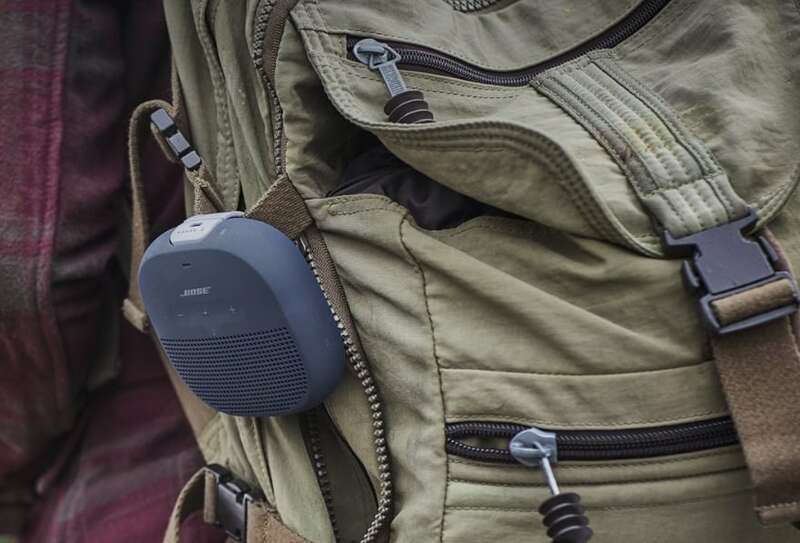 Bose SoundLink Micro is a compact and lightweight portable speaker with the power to deliver sound, perfect for outdoor adventures and occasions. Its rugged and waterproof design makes it a bliss to carry without having to worry if it ever drops to a swimming pool during a party, or when the storm hits while you are riding your bike with it. Though it only has around 5-6 hours of battery life, it does deliver the promised sound you’d expect from Bose for a speaker of this size. It’s definitely not the speaker of choice if you are only going to use it indoor though. For that, you’d be better grabbing a much better speaker with lower price and better sound. 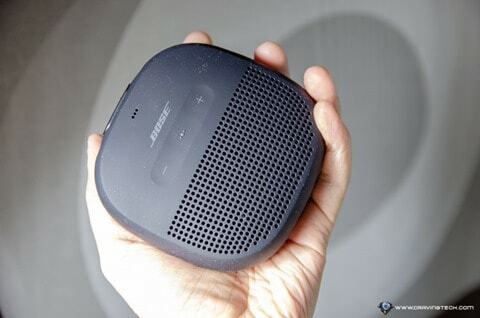 Bose SoundLink Micro can be purchased at AU$149.95 RRP.